Are you a specialist or a generalist? How you answer that question will determine how you should be marketing your business. Every business has a specialty – the product or service for which it hangs its hat. This is what gets pushed in your marketing efforts. Many startups begin as niche businesses, with one product or service that meets a need. As businesses age, there is often a lure to expand products and services to reach a broader base of customers. And when that happens, invariably someone wants to change the logo to reflect the new services. Good and fine. Adding a new line or expanding services is a suitable time for a new look. However, oftentimes there is a suggestion to keep the old logo to service the original niche and create a second logo to market the expanded services. This may seem like a logical, best-of-both-worlds solution, but it is often a very bad decision when you are talking about brand development and recognition. What it creates is brand confusion. The customer sees logo number one, then sees logo number two and then walks away not knowing that one is related to the other. Can dual branding work? Yes, if you have two or more products that need to be very distinct from each other but are in the same general category. For instance, if you are producing bottled beverages and you have a line of bottled water, fruit juice, energy drinks and iced tea, you would want a distinct brand for each of them. It only makes sense to give each product its own distinct brand that is different from the rest. However, you would want the logo for your company to be consistent, not changing it for each line of drinks. In this case, the company logo is the brand and each beverage is a sub-brand. Sub-branding works if you have product or service lines that are all in the same direction. But let’s say your beverage company wants to get into a totally different line of work – like real estate sales. Now your customers are totally confused. Are you selling something to drink or somewhere to build a house under the same logo? In that case, the real estate company needs to have a totally different brand from the beverage company. Branding is about simplicity of thought. I want customers to recognize your logo at a glance and associate it with your specialty, not two or three different ideas. If you are marketing a niche business that sells one service or product line, creating a brand around your company name makes sense. The company and the product/service should be seen as the same. 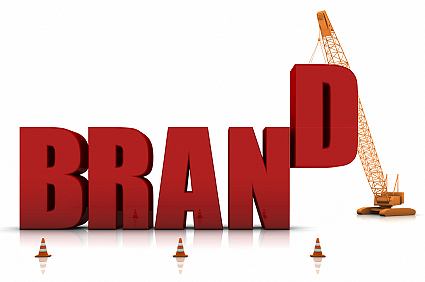 If you are working in a generalist business – a company that is selling a bevy of products and services to be a one-stop-shop – try sub-branding the name of your company with your product lines. Effective generalist marketing would include corporations like FedEx (FedEx Express, FedEx Ground, FedEx Office), carmakers like Ford (Ford Fusion, Ford F-150, Ford Service), food producers (Pillsbury Grands Biscuits, Pillsbury Pie Crusts, Pillsbury Pancake Batter), etc. Sub-branding is a good way to diversify your product and service offerings without losing your company brand to the product. Take a step back and examine your product and service offerings. Are you a specialist or a generalist? Your direction in branding should trend one way or the other.